Hello, Friends!! 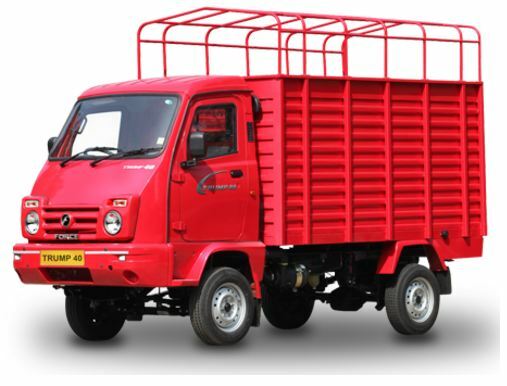 Are you Thinking to buy Force Motors Trump 40 Hi-Deck Mini Truck? 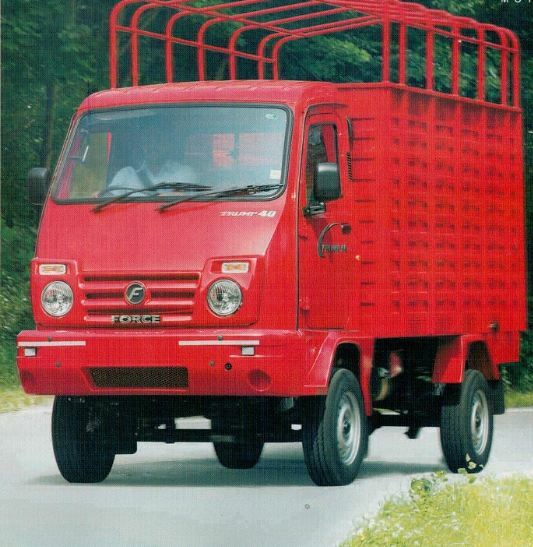 And Do you know about Force Motors Trump 40 Hi-Deck Commercial Vehicle Information such as On Road Price List, Key Features, Mileage, top speed, Technical Specifications, etc.? if you don’t know then don’t worry my friends here in this article of mine I am going to introduce That all kinds of information. That very helpful to you for buy or sell this model Mini Truck. You can blindly trust on it because here in this article all kinds of information are genuine and reliable. Ok, So are you ready for that my friends. Ok so Let’s move on our topic friends step by step. 4-speed synchromesh gearbox obtains from Mercedes Licensed G-17 gearbox for smooth and silent transmission of power with minimal losses. 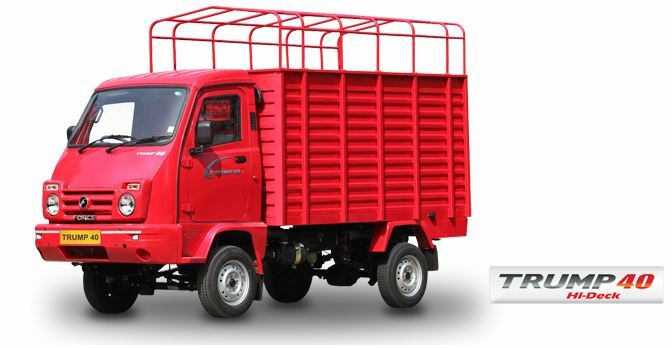 Durable pressed sheet metal ladder type chassis, rugged construction for all roads. 2.67m (8.75 ft) long cargo body, and high ground clearance with 14-inch wheels. BSIV compliant CNG version is available. Powered by the robust and fuel efficient three cylinder TD 2000 F DI diesel engine, derived from the renowned Mercedes Licensed OM-616 Engine. That was all about the Force Motors Trump 40 Hi-Deck Mini Truck Commercial Vehicle, I hope you like it, But if you have any question about this article, then please comment below in the comment box, I will solve your problem solution as soon and if you like it so please share with your friends and on social media, Thanks for visiting our site and stay tuned with me for more stuff like. Keep Smile, Take care of your family.